A month ago I interviewed acclaimed scifi writer Aliette de Bodard in a brasserie (okay, it was Starbucks) in sweltering Paris. She recently won both Hugo and Nebula awards for her short story Immersion (there's a link in the interview). You can read the interview here. The swirl of stars turned slowly about its axis. Time. She was showing him time speeded up at an incredible rate. 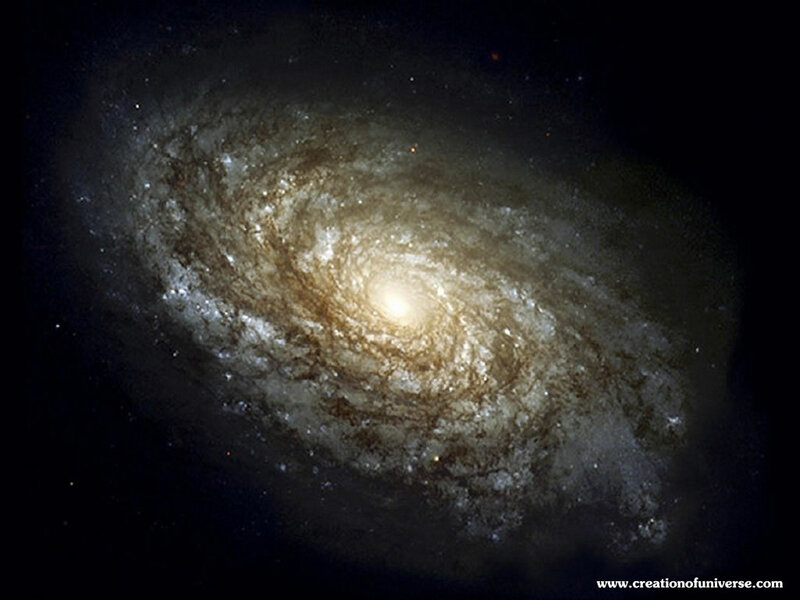 He calculated the galaxy’s rate of turn and converted it – ten million years per second. A spark flared in a spiral then snuffed out, signifying a civilisation flourishing and fading into obsolescence and extinction. Several more peppered the display, each one barely registering before fading. For a few seconds, an entire spiral waxed red, and then thousands of star systems glowed violet, indicating a terrible and all-consuming war, then faded to black, a few star systems hanging on before reverting to grey, indicating their civilisations and grand empires had decayed into oblivion. And so it continued. He worked out where Earth was, and kept half an eye on it, but knew that at this rate of time lapse it would not even show up as having produced sentient life and civilisation. Then a swelling ring of stars lit up around the inner hub, inward of the spirals, flickered precariously, and remained bright. The Grid. The interstellar highway that had fuelled and cemented a galactic society. It lasted a full ten seconds, rippling out to the spirals, then froze. Today. The reptile’s yellow eyes blinked lazily one at a time, so Hellera never took an eye off him. The stars all returned to their silver-grey pinpricks, all civilisation extinguished, and then the galaxy split apart, shattered into myriad motes losing cohesion, imploding, becoming dust, the dark matter and energy forces that bind a galaxy together depleted. Just like before, Pierre thought, according to the legends of the war two billon years ago in the Jannahi galaxy when the Kalarash last joined battle against Qorall. Pierre sat back. She had asked him to say what he understood, but the shock of knowing the likely end numbed him. [Incidentally, the Level Eighteen race is the subject of the fourth book, Eden's Endgame]. So, the likelihood of meeting another race depends on them reaching us before the aliens in question descend into war or obsolescence and oblivion, assuming they reach the dizzying heights of working out how to travel faster than light, or else they would have to travel for hundreds or even thousands of years just to explore their local star neighborhood. For example, what are the chances of us becoming inter-stellar travelers, for say a thousand years, to reach other civilizations at a time when they are alive and well? Of course, exploring those chances is what science fiction is all about. But I can't help noticing that much scifi these days assumes aliens will come a-knocking and discover us first (e.g. in Arthur C Clarke's brilliant Rama series), and that the only way we might learn how to travel faster then light or even at near-lightspeed, is to borrow or steal such technology from another race. War between Kalarash – highest Level beings known in Universe – and Qorall, in Jannahi Galaxy. Qorall believed dead. Galaxy destroyed. 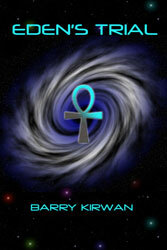 Seven Kalarash travel to Silverback Galaxy (human name: “Milky Way”). Various civilisations rise and fall. Five Kalarash leave Galaxy. Grid Society established under Kalarash guidance. Grid is a transport hub traversing a third of the galaxy. Grid Society strongly hierarchical based on Levels of intelligence. Kalarash are Level 19. [Humanity is Level 3]. Kalarash disappear. Level 17 Tla Beth left in charge, supported by Level 15 Rangers (reptilian). Anxorian (Level Sixteen) Rebellion threatens Grid. Tla Beth genetically alter Grid species 195 [Q’Roth] to become galactic foot-soldiers. Rebellion quashed. Anxorian species extinguished. Ossyrian (Level 8) race patronised by Tla Beth, become Medical race for the galaxy. Last sighting of a Hohash – Kalarash intelligent artefacts known as ‘omnipaths’. Q’Roth newborns must seek out ‘nourishment’ by culling species Level 4 or below. Ranger Shattrall crash-lands on Earth. Realises humanity targeted for culling. Warns local Tibetan tribe who become Sentinels. Sentinels engage in silent war with Alicians. Q’Roth terraform Eden and plant egg nests. Nanoplague on Earth. 50 million dead. Nannite technology banned. Plague instigated by Alicians, as harmful to Q’Roth. Third World War on Earth. Environment sent into irrecoverable global warming. Alicians gain power through religious sect known as Fundies. Nuclear defences disarmed. Eden discovered. First mission fails to return. Second mission blows up en route. Blake and his crew go to Eden. Micah uncovers a murder at the Eden Mission. The Alicians rise up. The Q'Roth arrive. Mankind enters the Grid. After murder of Q’Roth ambassador, humanity placed on trial by Tla Beth. Qorall arrives in our galaxy. After eighteen years of Quarantine, mankind is under attack again, and must find allies or perish. Kalarash return. War between Kalaran and Qorall rages across half the galaxy, Qorall targets humanity for destruction. Qorall is winning. A third race is awoken to tip the balance of the war. But can the machines ever be shut down again? All four books published. What will be left of humanity, or the galaxy even? Between the humans and the Alicians, who will be left standing? For the last few months I’ve been writing chapters for my next book in reverse order. I write a chapter, then I write the preceding chapter, then the chapter before that, etc. What was originally chapter one is now chapter seven. Why am I doing this? Because it is a good way to increase tension in the writing and jeopardy for the characters. It keeps the writing vivid. Before I explain the technique I should say why I started doing it. It is not always easy to write tension and produce thrillers that are satisfying page-turners. One way is to plot everything out carefully, along with all the intrigues and twists and turns, and then roll up your sleeves and get writing. But I personally hate writing to a formula (it’s hard to stay fresh and keep the prose ‘lively’), and often by the time I’ve reached certain chapters, I find my characters want to do something else (they are pretty undisciplined, I have to say). So, for my fourth book I decided to do something different. This is how it works (what follows is a simplified synopsis-like example). I wrote the first chapter. In it, two men, let’s call them Tom and Harry, are trying to rescue sixty people, including Lara, Tom's wife. The sixty are being held captive by Nastia, who has already killed a lot of innocent people. Tom and Harry get close to finding the captives when Harry is captured. Tom is also about to be unmasked and captured, when he sees an opportunity to kill Nastia. At the end of the chapter he walks towards her, a concealed weapon in his hand. Okay, it’s an action book (scifi in fact, but don’t let that make you switch off just yet! ), and the chapter has plenty of intrinsic tension (you’ll have to trust me on that). However, maybe there needs to be more depth to the characterisation, delving into just how important it is for these two men to rescue the captives? Otherwise they can be seen as just being ‘good guys’, but then they will appear two-dimensional. Then I write the next chapter, call it Ch.minus1. In this chapter Tom and Harry are preparing to go to the planet (stay with me please) where the sixty including Lara are being held by Nastia. This is a more static chapter, but we find out that Tom is really on the edge due to prior events. But we also find out there is something between Harry and Lara that Tom doesn’t know about. So, now it’s a little more interesting. We still don’t know what Tom will actually do. Will he kill Nastia? So, chapter minus2 becomes chapter 1, chapter minus1 becomes chapter 2, and chapter 1 becomes chapter 3. And if you’ve stuck with it until chapter 3 where Tom is about to kill Nastia, you’ll sure as hell want to read chapter four to find out what happens. This process is like ‘reverse engineering’ the plot, going backwards from a pivotal moment to ensure the characters are grounded and their motivations are clear and compelling, and the jeopardy has been raised really high. Moreover, the reader is ‘omnipotent’ in the sense that only she sees what’s going to happen, as none of the characters do. As a writer it is quite a challenge to write this way. I’m not going to do the whole book like this, but it has certainly got the creative juices flowing, and I believe some of the tension I feel when writing it (because Tom, Harry and Lara have to somehow get out of this, and that’s down to me as much as them) translates onto the printed page. I should add that I write multiple characters and points of view (POVs; one per chapter) – and reverse writing fits well with that style. I also write multiple alternating plot strands, what I call ‘tourniquet-plotting’, which coalesce into a finale. So for example, interspersed between the three chapters above are three other chapters from a different plot strand, though all the characters will come together at the end. This also adds to the tension since for example, the reader would have to wait a full chapter after chapter 3 above to find out what Tom is actually going to do. The main advantage of this process is that the gradual increase in tension will seem to the reader genuine rather than contrived or due to writers’ tricks, and certainly will never be seen as ‘deus ex machina’ or plot twists for the sake of it. Also, because each chapter is happening ‘on the surface’, there is little need for backfill, info-dumping or flashbacks, so the reader stays in the moment. The end product should be tense, vivid, and hard to put down. If you’re a writer of thrillers, try it sometime, because if nothing else, as a writer, this is fun to do. 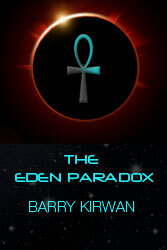 The Eden Paradox Series: The Eden Paradox, Eden's Trial and Eden's Revenge, all available from Amazon. The finale, Eden's Endgame, is due Spring 2014. In one of my earlier blogs I wrote about writing alien characters in science fiction, with the following seven rules. Alicians – a neo-human race genetically-altered by the Q’Roth to increase intelligence, resilience and longevity. Alicians are named after Alessia, their founder, who brokered a deal with the Q’Roth in 1053 AD to prepare humanity for culling, and to eradicate Earth-based nuclear and nano-based weaponry, in exchange for genetic advancement and patronage. Dark Worms – leviathan-like creatures who live in the space between galaxies, feeding off both dark and normal energy sources. They are almost impossible to kill. Normally they are kept outside by the Galactic Barrier, which was breached by Qorall’s forces. Finchikta – Level Nine bird-like creatures who administrate judicial affairs for the Tla Beth, e.g. during the Trial of humanity in 2063. Genners – following the Trial of humanity, prosecuted by the Alicians and the Q’Roth, mankind was quarantined on Esperia for its own protection and all children genetically upgraded to Level Four (with Level Five potential) by the Ossyrians. ‘Genners’ surpass their parents intellectually by the age of nine. 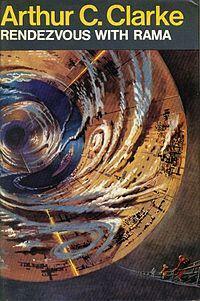 Grid – a ring-shaped transport hub that runs around the inner third of the galaxy, for ease of commerce. Grid Society – established by the Kalarash ten million years ago, based on a scale of levels of intelligence running from one to nineteen, with Kalarash at the top. Mankind was initially graded Level Three. Hohash – intelligent artifacts resembling upright oval mirrors, designed by the Kalarash, known as ‘omnipaths’ due to their powerful perception, communication and recording abilities. True function unknown. Kalarash – Level Nineteen beings believed to have left our galaxy. Only seven remain in the universe. Little is known about them. They are called ‘the Progenitors’ by many Grid species, as the Kalarash fostered civilisation in the galaxy, based on a strictly hierarchical intelligence-ranking system. Mannekhi – human-looking alien race except for their all-black eyes. Level Five. Sided with Qorall in the ongoing galactic war, due to millennia of oppression under Grid rule. Nganks – full name Ngankfushtora – squid-like Level Twelve cosmetic surgeons usually reserved for higher species. Ossyrians – dog-like Level Eight medical race, charged as humanity’s custodians after the Trial, their eighteen-year long stay on Esperia led by Chahat-Me. Qorall [kwo-rahl] – ancient enemy of the Kalarash and invader of the galaxy. Q’Roth [kyu-roth] – Level Six nomadic warrior race currently engaged as soldiers trying to stop the progress of Qorall’s forces across the galaxy. The Q’Roth are formal Patrons of the Alicians. Rangers – Level Fifteen taciturn reptilian creatures working for the Tla Beth. Ranger Shatrall crash-landed in Tibet in the twelfth century and realized the Q’Roth had targeted humanity for culling. He was unsure the Level Three assessment was correct, and so unofficially warned a local tribe who became the Alicians’ principal adversary, the Sentinels. Resident – internal alien-designed symbiote implanted in Micah’s head prior to the Trial of humanity, which acts as a semi-intelligent Level Five translator, with various additional survival-based functions. Scintarelli – Level Twelve legendary master shipbuilders, whose shipyards dwell in gas giants. 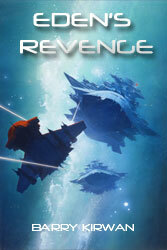 Their star-ship designs include the Starpiercer and the Scythe. Sclarese [skla-ray-zee] Nova Stormers – Level Nine semi-intelligent stealth missiles based on energy amplification technology, aimed at turning stars nova. Built by the Sclarese. Sentinels – blood enemies of the Alicians, involved in a silent war over a period of centuries. Last remaining Sentinel alive is Ramires. Sentinels were famous for their nano-swords, able to slice through a Q’Roth warrior’s armoured flesh. Shrell – Level Nine matriarchal ray-like creatures who live in deep space, guardians and ‘gardeners’ of the space-environment, invisible to most other species. As well as protecting and ‘fixing’ spatial tears, they can also ‘poison’ space. They work for the Tla Beth. Spiders – Level Four race harvested by the Q’Roth one thousand years prior to the culling on Earth. Homeworld called Ourshiwann, renamed Esperia. Visual-oriented race, otherwise deaf and mute. Now live in Shimsha, near Esperantia. Tla Beth – Level Seventeen energy creatures, rulers of the Grid in the absence of the Kalarash. Homeworld location unknown. Generally I've stuck to my seven principles, and there are a few more alien races to be introduced for the final book in the series, Eden's Endgame. This makes for a pretty complex 'tapestry' onto which I'm superimposing the final installment, particularly as most of these races are meant to be more intelligent than humanity. However, taking a leaf out of David Brin's Sundiver and Uplift series, even though humanity are 'wildlings', they have a few tricks up their sleeves.